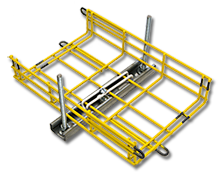 To compliment the trays and the One-Tool system mounting supports and hardware kits are provided in various sizes for all installation types. These kits are recommended every 5 feet. To compliment the kits are Accessories. 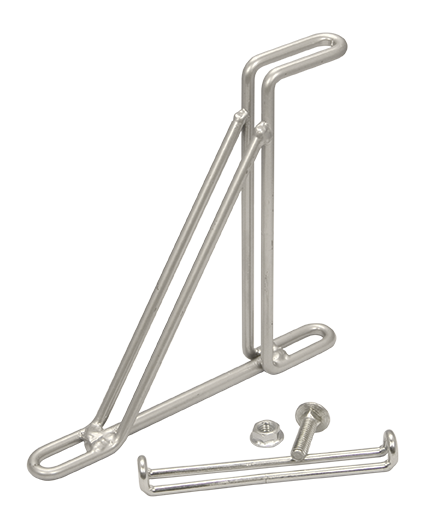 The kit contains 7 parts to suspend the cable tray from the ceiling. Two Kit Options: CM50xx-x ¼” Kit Includes: • (1) support bracket • (1) hold down bracket • (2) ¼” flat washers • (2) ¼” nuts • (1) 6” protective tubes. *Threaded Rod not included. 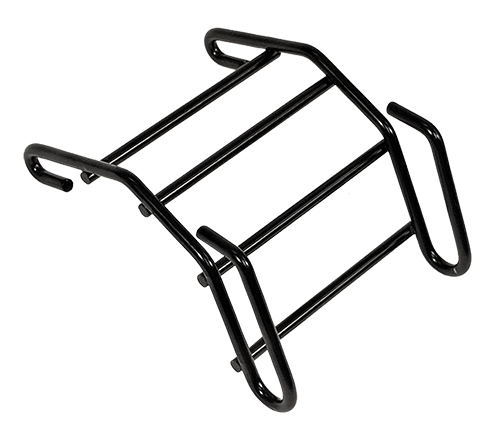 CM51xx-x ⅜” Kit Includes: • (1) support bracket • (1) hold down bracket • (2) ⅜” flat washers • (2) ⅜” nuts • (1) 6” protective tubes. *Threaded Rod not included. Recommended for larger trays. The kit contains 12 parts to suspend the cable tray from the ceiling. 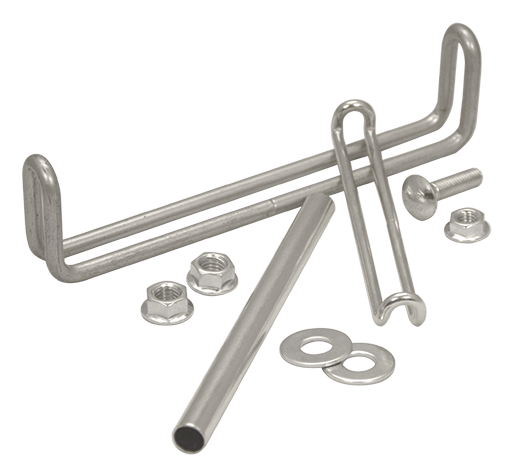 Two Kit Options: CM52xx-x ¼” Kit Includes: • (1) support bracket • (1) hold down bracket • (2) ¼” finned nuts • (4) ¼” flat washers • (4) ¼” nuts. *Threaded Rod not included. CM53xx-x ⅜” Kit Includes: • (1) support bracket • (1) hold down bracket • (2) ⅜” finned nuts • (4) ⅜” flat washers. • (4) ⅜” nuts. *Threaded Rod not included. 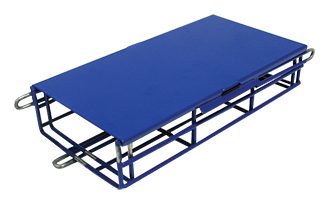 Add a cover to the Cable Tray to prevent debris or dust from falling on top of the cables. 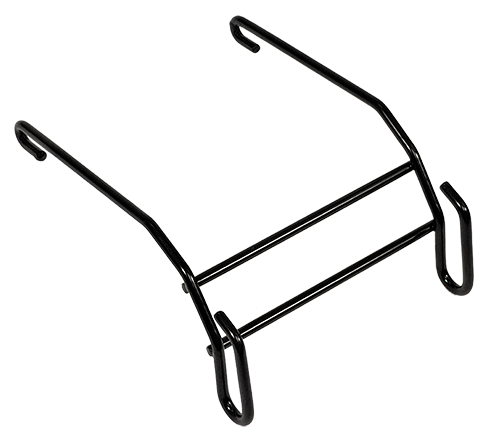 Divide the Cable Tray with Dividers that are made from powder coated steel and are 5′ long. Two Splice Washer Assembly Kits #05-2-500985 used to secure to each tray section included. Used to secure tray sections to all supports. Made of steel wire powder coated chrome color 4” long. Hold down included with all wall, floor, and ceiling supports. Extras may be ordered. Used to secure tray sections to all supports. Material is steel wire powder coated chrome color 4″ long. Hold down included with all wall, floor, and ceiling supports. Order extras only. 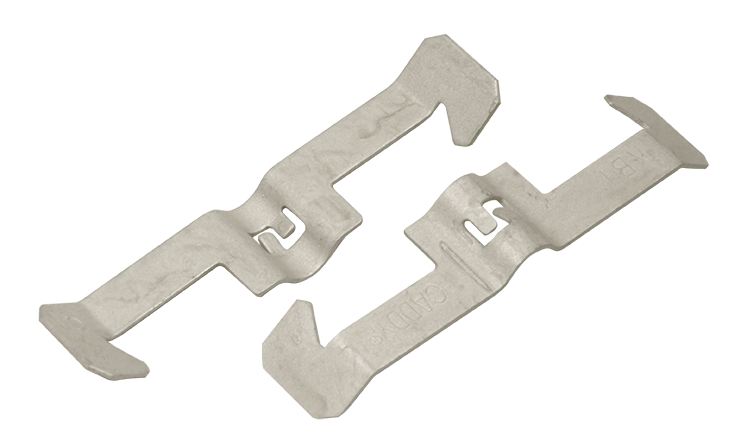 The cable tray straight and junction sections are easily joined together using installer-friendly splice washer kits. The kit contains one ¼”- 20 bolt washer, one splice washer, and one flanged hex nut. Material is zinc plated steel. PRO-10™ Connecting hardware is included. 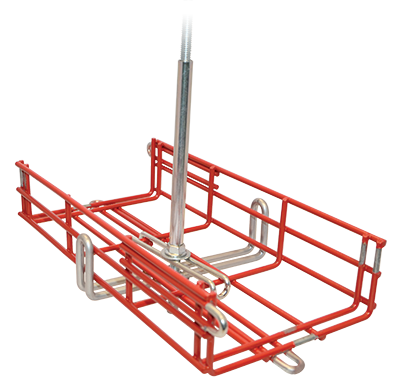 Kit Includes: (1) Bridge Support and (2) “U” Clamps Spans 24 inch center to center floor pedestals up to a 1-1/2” diameter. 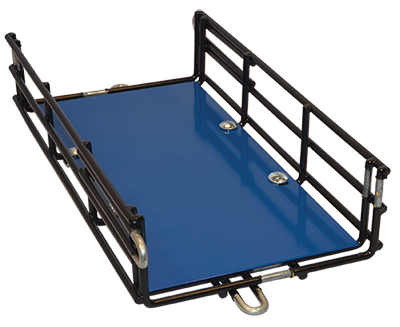 All connection hardware is included for each tray section and not required to be ordered separately. 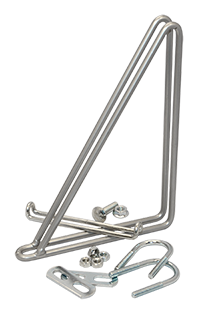 #05-CM75-3 Kit includes: (1) Bridge Support and (2) “U” Clamps Spans 24 inch center to center floor pedestals up to a 1-1/2″ diameter. 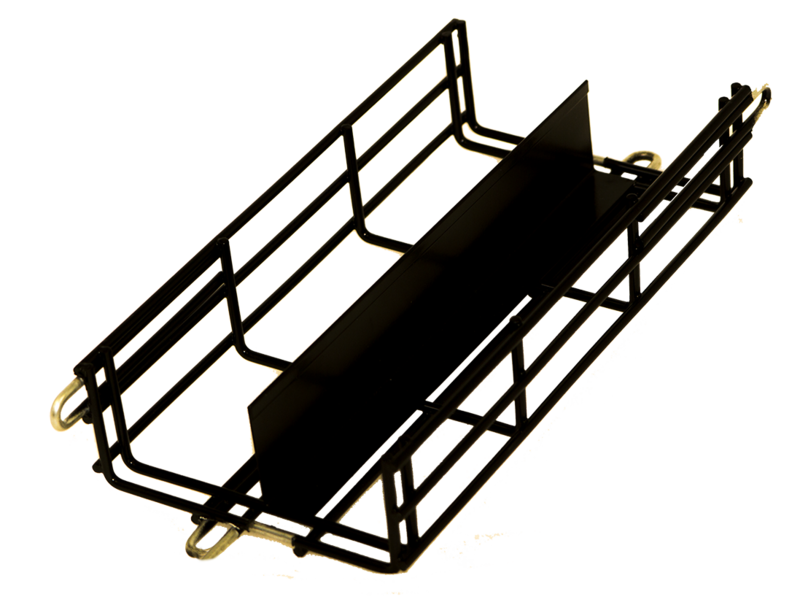 All connection hardware is included for each tray section and not required to be ordered separately. CLIP, HOLD DOWN FOR UNISTRUT SUPPORTS. 100 PCS PER BOX. 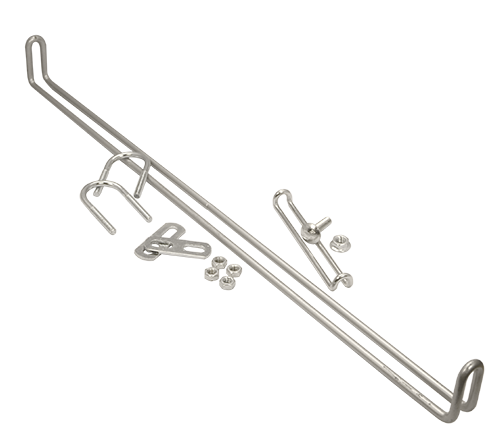 #05-CM110 Multi-function “batwing” clip provides attachment of conduit and boxes. Standard size. Used for side dropout. Used for middle or end dropout. 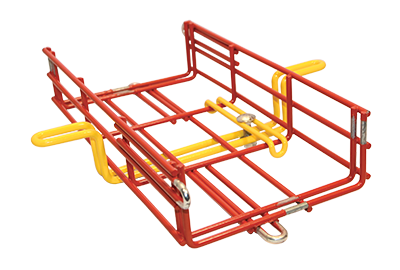 With one ratchet, you can reduce installation time up to 50%. 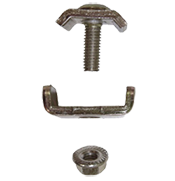 #05-CM99 With one ratchet, you can reduce installation time up to 50%. This 6″ protective steel tubing is for ¼” & ⅜” threaded rod. 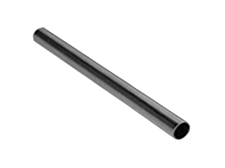 #05-CM80 This 6″ protective steel tubing is for 1/4″ & 3/8″ threaded rod. 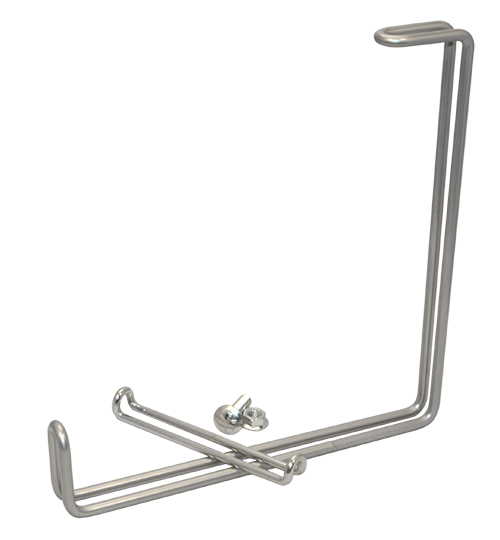 This universal loop is used for mounting other hardware to the tray. 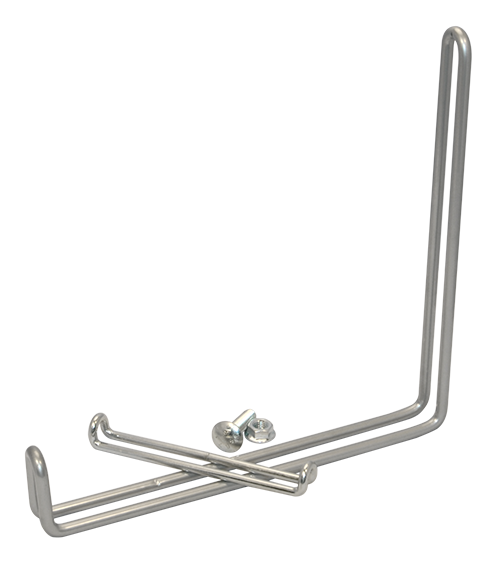 #05-CM70 This universal loop is used for mounting other hardware to the tray. During some installations, there may be sections that do not meet. The offset loop was designed for this. It loops bolt to the existing loops on the tray. 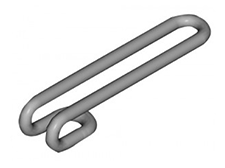 When attached to both ends of a section, a lateral adjustment of up to 12” is possible. To adjust, slide the cable trays, fittings or offset loops to meet and then tighten the flange hex nuts. #05-CM58 During some installations there may be sections that do not meet. The offset loop was designed for this. It loops bolt to the existing loops on the tray. 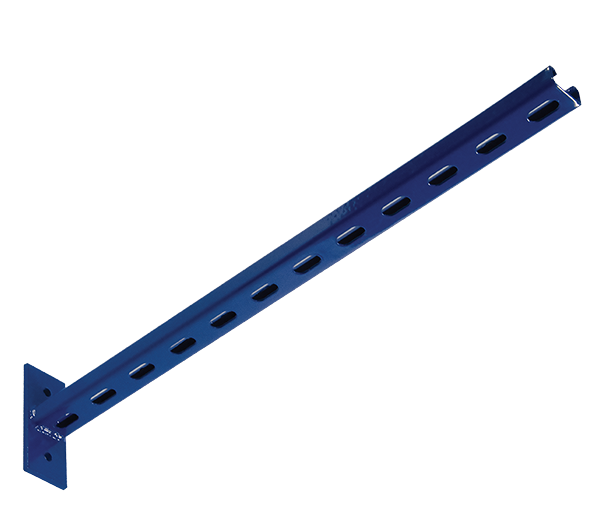 When attached to both ends of a section, a lateral adjustment of up to 12″ is possible. To adjust, slide the cable trays, fittings or offset loops to meet and then tighten the flange hex nuts. Copyright © 2019 Wiremaid Products Corporation. All rights reserved.